The thing about dreams, though, is they usually sound crazy to everyone but you. All it takes is one other person to buy into them to keep you going. 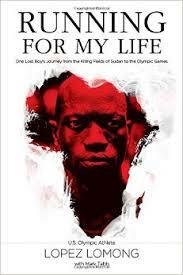 A Sudanese-born child named Lopez Lomong is kidnapped as a young boy to become a child soldier. Through amazing circumstances and faith, he escapes to a refugee camp, and eventually reaches the United States, where he discovers a talent as a runner and competes in the Olympic Games. Great stories like this, of people overcoming cultural obstacles are prevalent in sports. But culture is not only confined to foreign situations, it can also be present in racial tensions and discriminatory actions within our country. This list recognizes people who used sports as a means to survive and bridge divides. 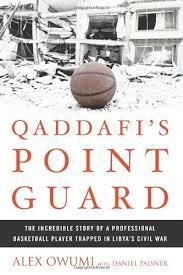 A basketball memoir, set against the harsh backdrop of the 2011 Libyan uprising. A Nigerian native who emigrated to the United States at age 11, Alex Owumi's exploits on the basketball court earned him a college scholarship to Georgetown University. Undrafted by the NBA, Owumi pursued his basketball dream overseas, eventually signing with Al-Nasr of Libya, a state-run athletic club privately funded by the family of Libyan president Muammar Qaddafi. 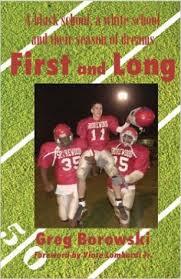 Presents an account of what happened when the coach of the white suburban Shorewood High School in Milwaukee got the idea of joining with the predominantly African-American Messmer High School to create a football squad during the 2001 season, discussing their struggles to maintain racial harmony while trying a bond into a winning team. 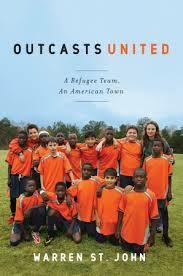 American-educated Jordanian Luma Mufleh founds a youth soccer team comprised of children from Liberia, Iraq, Afghanistan, and the Balkan states, and elsewhere in the refugee settlement town of Clarkston, Georgia, bringing the children together to discover their common bonds as they adjust to life in a new homeland.